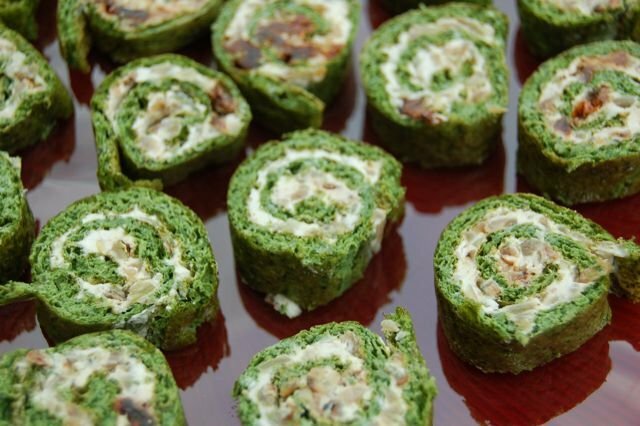 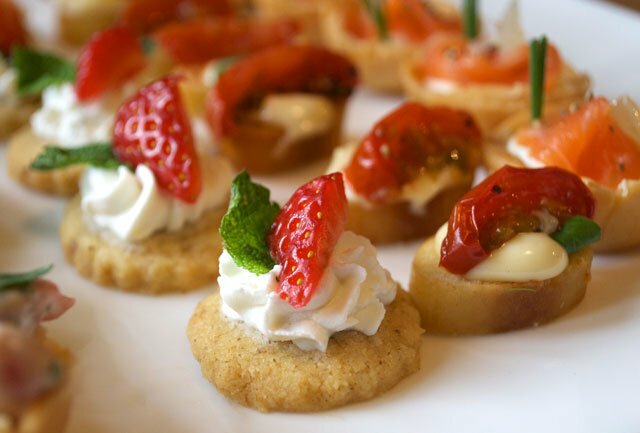 At Sophie Martin Catering we delight in creating delicious canapes, an ideal start to any event. 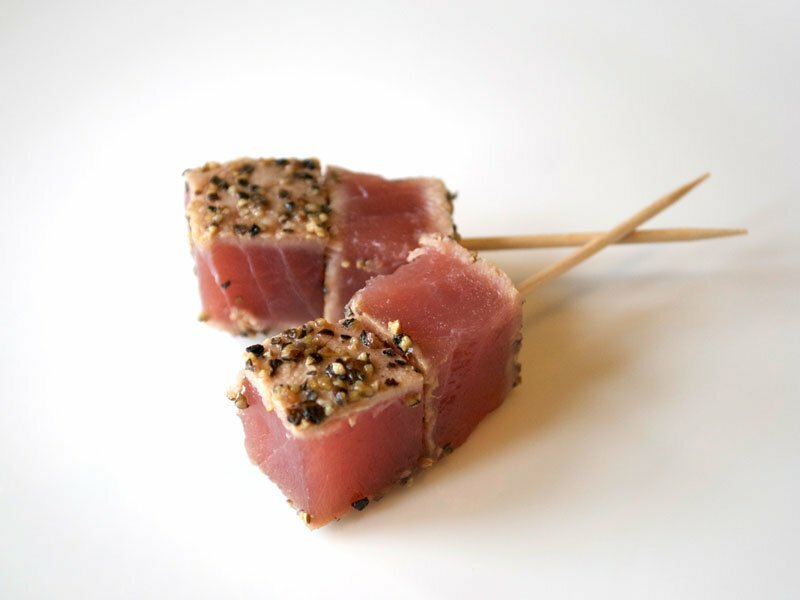 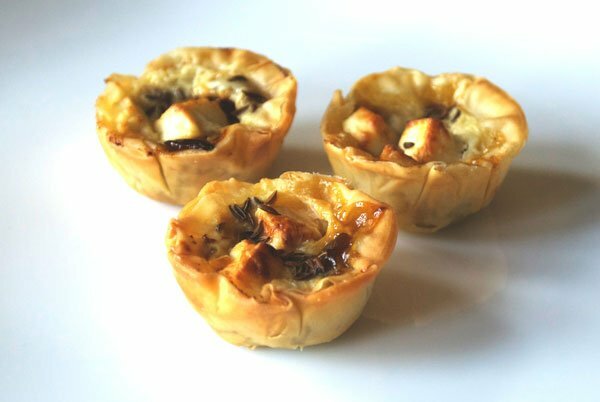 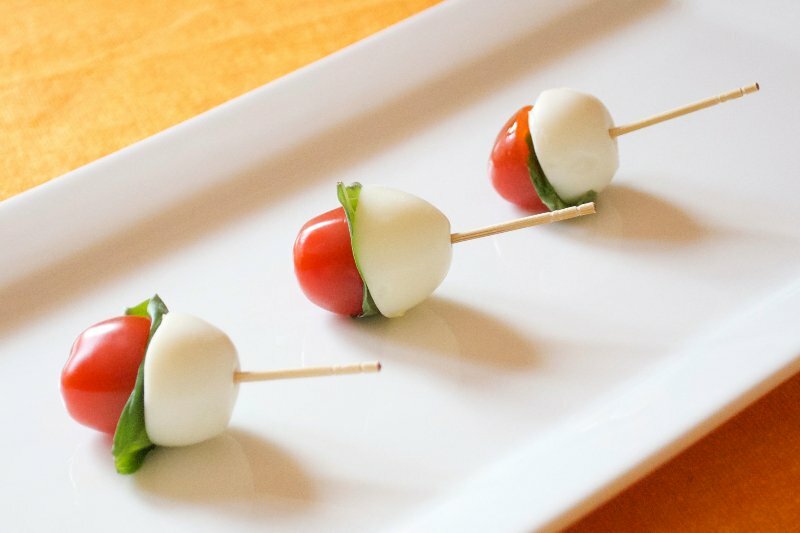 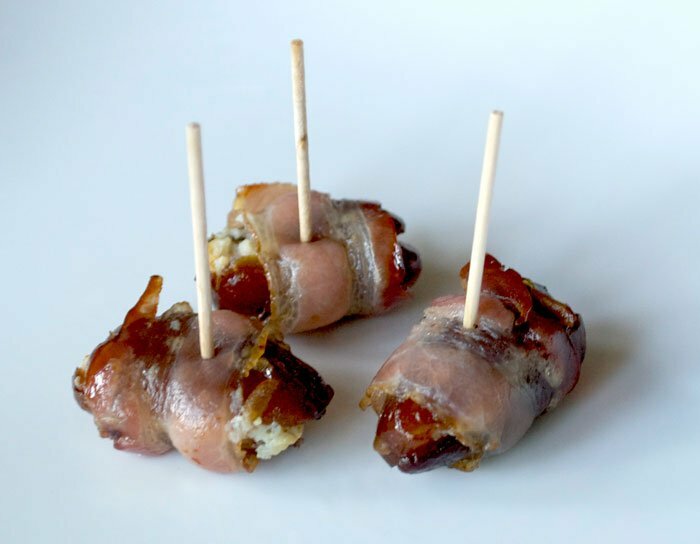 These petite attractive appetisers are a small, prepared food, held in the fingers and eaten in one bite. 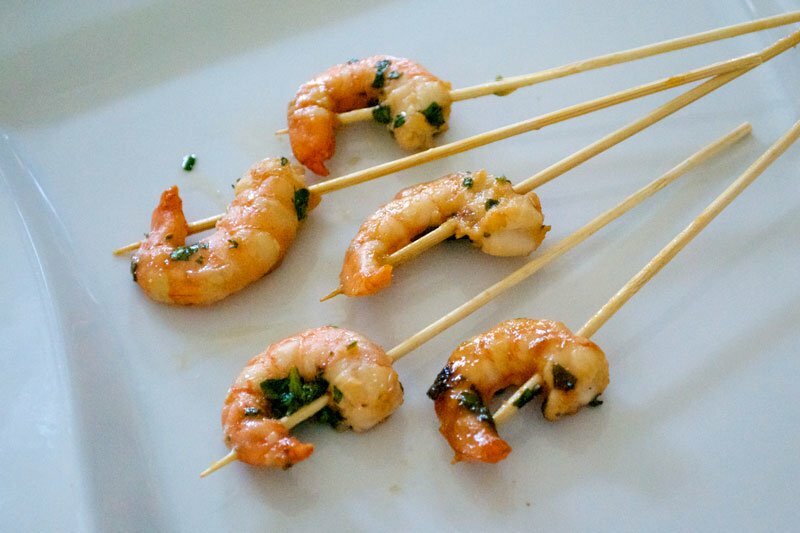 They are designed to titillate the palate and create an excellent talking point among guests. 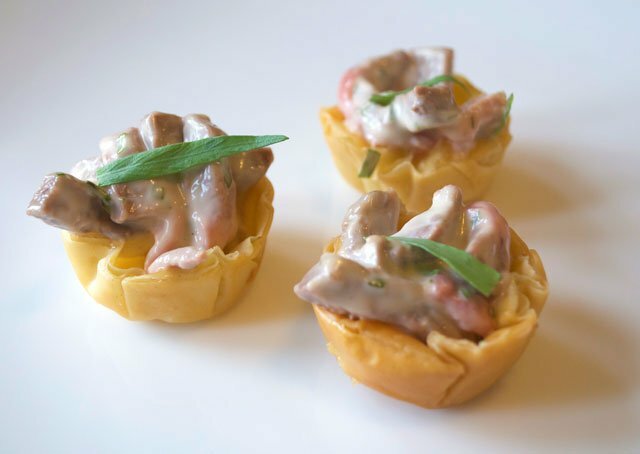 The word ‘canapé’ comes from the French word for “couch” drawing on the analogy that the garnish sits atop the base as people do a couch. 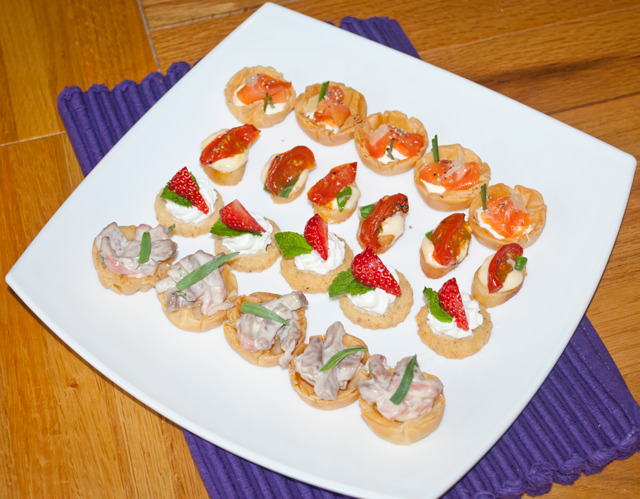 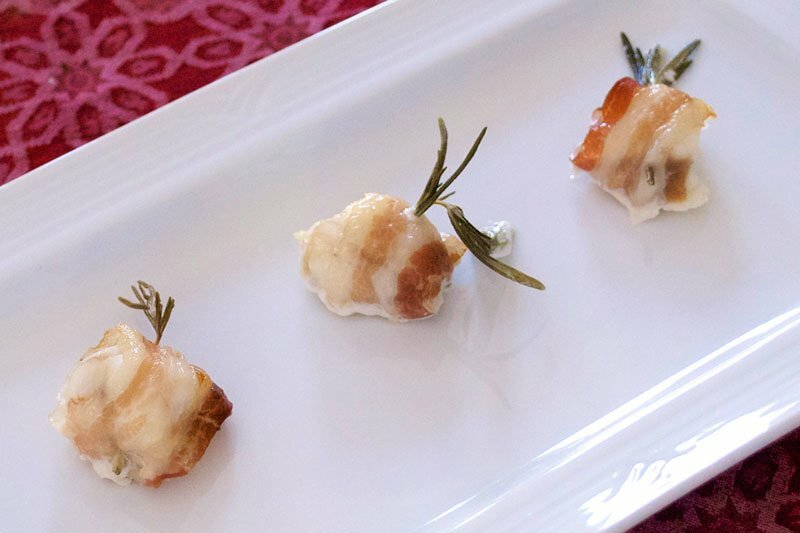 Canapes are often referred to as ‘amuse bouche’ or ‘hors d’oeuvres’. 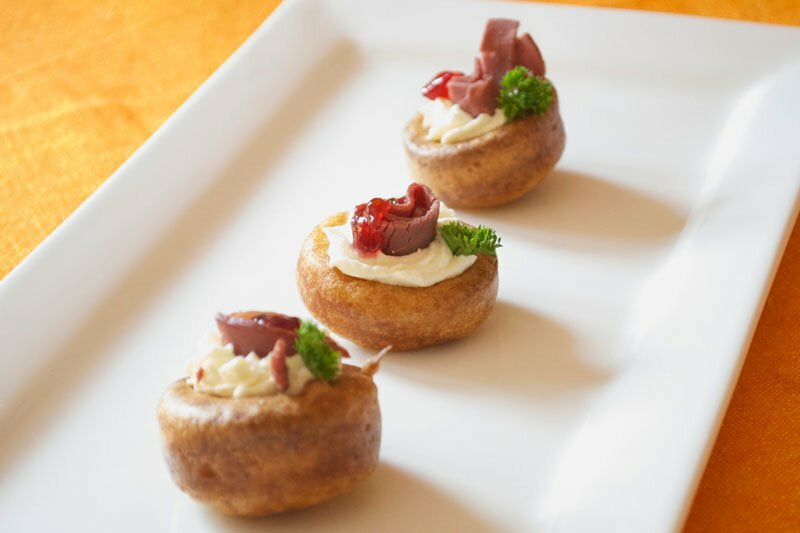 Like all of our food, our canapes are home-made in our Surrey kitchen, using only the freshest ingredients. 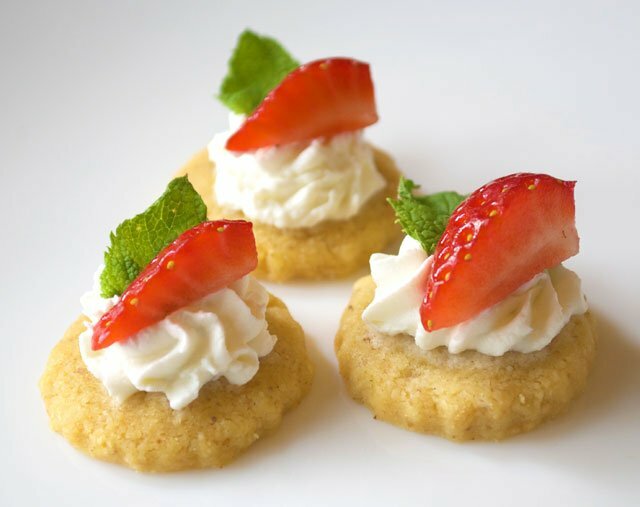 We also take particular care to source local ingredients where possible, and work closely with local businesses. 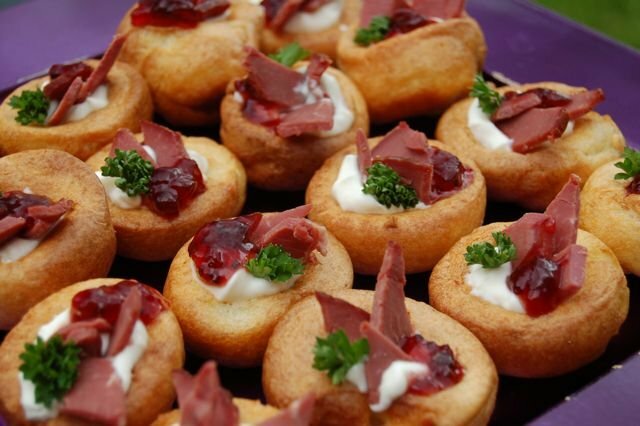 We can provide staff to serve the canapes to your guests or you can have your canapes delivered. 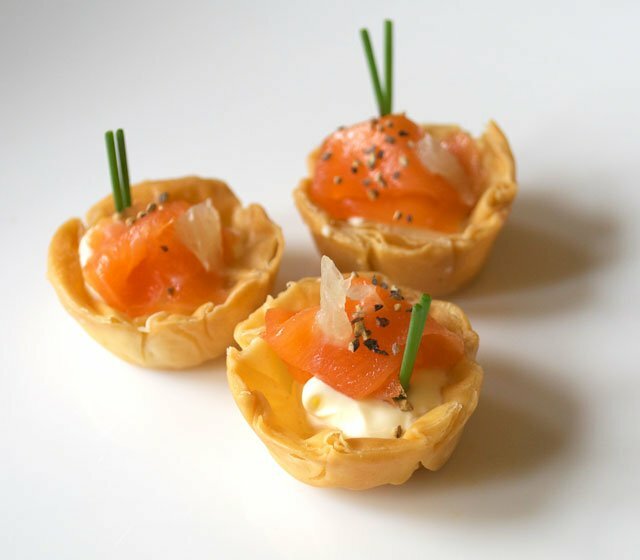 If you choose to have your canapes delivered, we will deliver them carefully boxed with the appropriate serving instructions. 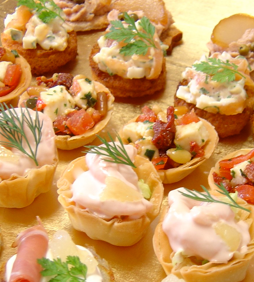 If required we’ll happily lend you some of our canape plates. 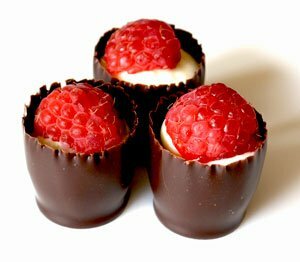 Delivery / China Collection charges apply depending on location. 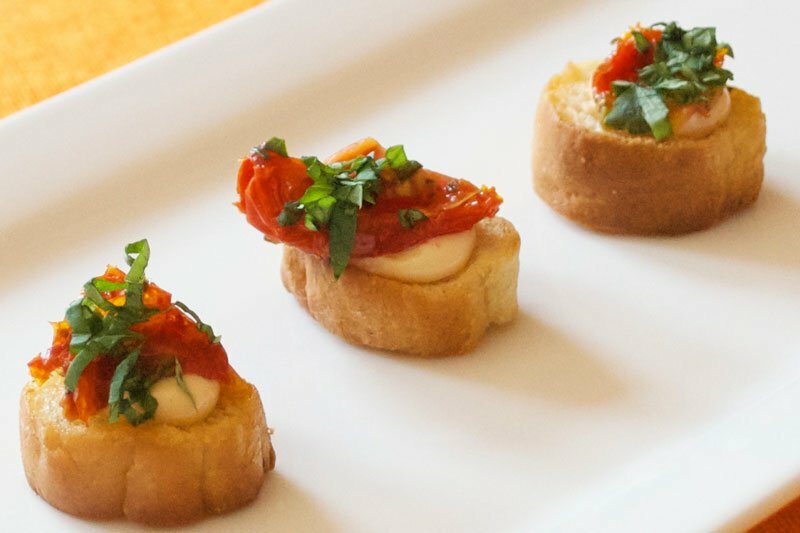 We recommend 6-8 canapes per person, depending on time of day, and other food you may be serving to your guests. 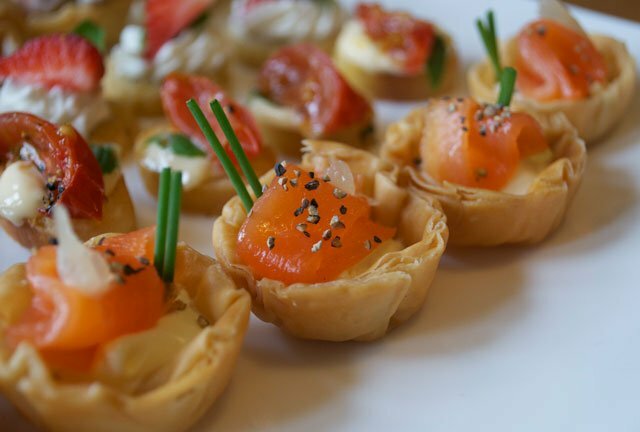 Canapes are ideal for drinks parties, but are also great as a social replacement for a starter before your main meal, or buffet. If you are having a Wedding Afternoon Tea, canapes are a fantastic social starter earlier in the day.